Saving decor magazines for rainy day reading some how legitimizes goofing off when I should be working on a stack of throw pillows and drapery panels. But it is the weekend, and I’ve earned some time to relax and soak up some fun and inspiration. 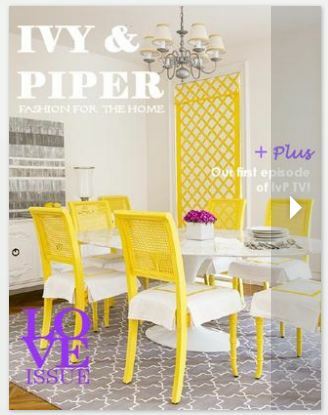 Here’s 3 FREE ONLINE Home Decor / Lifestyle Magazines that I have had stacked up in my reading pile. Just click on the following highlighted text links. 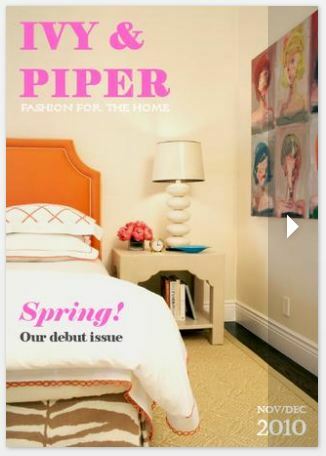 The Ivy and Piper Magazine 2011 (above) is a newly released issue. 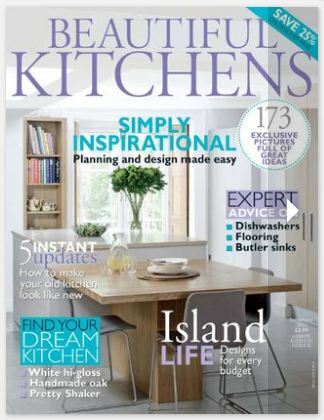 The Ivy and Piper Magazine 2010 and Beautiful Kitchens 2010 (below) have been around for a wee bit. No matters, each of them have tons of fabulous pictures and editorials that are worthy of saving in an idea file. It’s sounds like a ferocious rain storm outside. Dear Hubs is reclined in his chair totally absorbed in the hockey game and I’m tucked in on the love seat with my blankie and my laptop finishing my rainy day reading. Life is good. 🙂 What are your favorite magazines? Never hear of that magazine but sounds great!! Thanks for followingmy blog I’m now following yours!